It seems to never end. The markets do the opposite of what would be expected based on common sense and on undeniable evidence about the fundamentals. Just this morning, for instance, the S&P 500 pops up overnight and then promptly goes red after the NYSE opens. Then one of the Fed sock-puppets makes a comment about oil bottoming and the S&P 500 takes off like Roman candle. Overnight gold was also up about $4. A report hit the tape that some of the ECB members wanted more money printing. Money printing is a fundamental event that should send gold inexorably higher. Instead, gold was slammed $10 as soon as the news item hit the tape. I can’t tell you how many times I have been in meeting with investors and explained common sense truths, only to have their eyes completely glass over. Usually, they immediately proceed to ask me about Amazon, Netflix, Apple and Google. People really are that clueless. One of my clients, that owns PHYS, told me he really didn’t want any more than 10% gold and wanted me to look at cloud computing stocks. I had another client leave me recently because we had an allocation to gold, cash and stocks. They went to Fidelity and purchased 4 growth funds and long term bonds. They told me that Fidelity was a bigger company and they were bullish stocks. I laughed myself to sleep that night and watched their account fall 8% the first week of 2016. It is totally insane how clueless your average person with investable assets is. I can’t even imagine how insanely ignorant the people that are that live paycheck to paycheck. It’s truly scary because those people really and truly believe it’s the rich that keep them poor and they believe the government is their only ally. When the day finally comes that gold is recognized as real money your average person is going to be totally shocked. I have a feeling they will blame everyone and everything other than themselves and the good old government. The hardest part about being a retail advisor is when you first understand that people, even smart people, can’t accept that their beliefs are misguided. People will take it hard when it happens. I leave you with a final quote I heard years ago: “If what you knew to be true turned out not to be true; when would you like to know about it.” Unfortunately, for most people, they only want to know when it is too late! I wonder if the brainless twits and shills on CNBC will be telling their audience that the S&P 500 is now lower than it was in May 2014. That’s right. Anyone in the stock market over the last 20 months hasn’t gained a penny. The S&P 500 is now down 11% from its all-time high in May 2015. Only 40% or 50% more to go to reach fair value. He concludes that that the stock market needs to drop at least 50% to be fairly valued. I have not had a chance to probe him on this, but I suspect his non-public number is closer to my number: 80%. We were on that path in 2009 until the Fed and Obama bailed out the banks in order to enable them to continue sucking wealth out of the system. The latest contrarian editorial “vogue” is to refer to the recent .25% nudge in the Fed funds rate as “a policy mistake.” Sorry, that’s not even remotely close to the truth. The policy error committed in this country was preventing the markets in 2008/2009 from doing what they will eventually do anyway. And EVERYONE will end up paying for that mistake. It’s not just distressed debt or the energy sector. I was chatting with a friend/colleague in NYC who is connected with the high yield market. To begin with, the economic devastation to Texas from the collapsing price of oil is just beginning. Word to him from a big Texas bank is that the massive asset write-downs – i.e. energy and real estate loans – are just starting. Up until now the banks and financial firms have been able to hold off marking to market in hopes of a recovery in the price of oil. But distressed offerings in oil, gas and real estate assets are starting to hit the market and it’s going to force the issue. This is going to get ugly. This is economic fall-out that will spread to the entire country. Next we turned to the high yield market and he remarked that the junk market is collapsing. And it’s not just oil bonds – it’s gas, technology, healthcare, industrial, retail – everything. The few recent deals that got done soaked up all the cash available and now big outflows are starting again. There’s no liquidity and bids that show up within a reasonable context of the quoted bid/ask market get tattoo’d. It’s impossible to move any kind of stuff – i.e. big investors, mutual funds, pension funds are stuck. The second graph compares the returns to the HYG I-shares high yield ETF and the S&P 500. As you can see the, divergence between the S&P 500 and the high yield bond market has reached an absurd level. The high yield market, in the absence of extreme intervention, typically will lead the stock market directionally. This is especially true on the downside because high yield investors typically are “privy” to bank credit information – trust me, this is true, as our high yield desk was next to the bank debt trading desk and we were very friendly with each other – and can see when corporate numbers are deteriorating well in advance of equity analysts and investors. As you can see from this graph the divergence between high yield debt and the S&P 500 has never been greater. We can draw two conclusions from the information conveyed in the two graphs above: 1) the Fed is terrified of letting the stock market move lower and, for now at least, has a solid iron floor beneath the stock market; 2) the credit condition of corporate America has been deteriorating since early 2013, punctuated by 3 quarters in a row of declining earnings for the S&P 500. Revenues have been flat to down on average for a couple years. This is not going to end well for anyone. I would suggest that this is one of the specific reasons that the U.S. Government is ramping up its military aggression, rampant domestic fear-mongering and extreme propaganda. We can’t even enjoy a college or NFL football game anymore without the shameless promotion of the military constantly thrown in our face. History tells us – and it is very clear on this matter – when all else fails, collapsing empires start a war. This war started slowly burning when Bush II attacked Iraq and now it’s escalating into a global conflict. This will not end well…Happy Thanksgiving. Up until January, the S&P 500 had risen at a near-continuous 45-degree angle, punctuated with an occasional and very brief 1% sell-off. Every time the stock market attempted to correct, the Fed either rolled out another new QE program in some form or used its regional emissaries to soothe the computer algos and retail investor cattle with sweet nothings designed to jawbone the stock market higher. As you can see from the graph above, the one sell-off prior to this past summer was halted a by a Fed puppet’s call for more QE. The truth is, the markets are so disconnected from the underlying fundamentals that if the Fed were to pause for just a brief moment from its continuous market intervention, the stock market – along with the entire financial system – would collapse. As you can see from the graph above, while the Fed – for now – has the ability to prevent the S&P 500 from a big sell-off, it’s been unable to push the S&P beyond the upper end of the sideways channel framed in red in the graph above. And now we find out that the club of inside-connected, highly regarded large hedge fund managers have been unloading their stock holdings into every rally – LINK. Currently the S&P 500 is being propped up with five stocks – AMZN, GOOG, FB, MSFT and GE. Collectively these five stocks account for than 100% of the YTD return on S&P 500. I can’t speak knowledgeably to four of them, but you can find why AMZN is the largest public stock Ponzi scheme in the history of the U.S. stock market in this report: AMAZON dot CON. I have an interesting paired traded strategy that I’m working that reduces the risk/volatility of shorting AMZN outright and it will be made available to anyone who purchases the AMZN dot Con report. Beneath the veneer of those five stocks, there’s a bona fide bear market going on in many sectors and individual stocks. We saw this most recently with several retail stocks which went into cliff-dive mode after releasing quarterly earnings. Some sectors of the market are down 20-50% this year. Currently just about every possible economic indicator is telling us the economy in the U.S. is starting to collapse. This is one variable over which the manipulators have no control. The price of oil is about to drop into the $30’s and the price of copper is likely going to go below $2 soon. By all indicators, retail sales for the holiday season are setting up to be a disaster. The big retailers know this which is why “Black Friday” sales promotions have already started. The housing and auto markets are next. The Fed and Government have once again over-stimulated demand for housing and new cars with subprime lending programs. Demand has been “pulled forward” and sales in both markets are rolling over. I don’t know how much longer the Fed can hold up the stock market. At some point the gravitational force of the collapsing fundamentals will outweigh the Fed’s ability to keep a safety net under the stock market and a lid on the price of gold. I predict it will get a point in which you won’t be able to get out of the stock market (extended market holiday) and you will have trouble finding physical gold/silver to purchase except in the private market at exceptionally high premiums to the quoted spot price. The Dow/S&P 500 indices are currently more overvalued relative to underlying fundamentals than at any time in the history of the U.S. stock market. This especially true if you weed out the non-cash net income “adjustments” companies are now allowed to pile into their GAAP income statements in order to puff up their earnings per share facade. Really, it’s not pathetic or absurd, it’s outright childish. And the stock promoters and Wall Street “experts” who claim the stock market represents good value now are either tragically mentally disabled or insidiously corrupt. Likely more of the latter than the former (Jim Cramer, Steve Liesman, anyone on Fox Business or Bloomberg News etc). I guess the tipping point for me was this idiotic article that appeared today on Marketwatch: Why 100% of your investments portfolio should be in stocks. If there were ever something ringing the bell at the top of a market, it has to be that article. Per this Zerohedge post, there’s just eight stocks which are keeping the S&P 500 being negative this year: Amazon, Google, Facebook, Home Depot, O’Reilly, Netflix, Nike and Starbucks. These are the stocks in which momentum-chasing hedge funds have highly concentrated holdings. I know from watching AMZN everyday closely over the last six months that whenever both AMZN and the stock market open up red, when Amazon goes green the rest of the stock market follows. Yesterday (November 10) was a perfect example of this. In other words, AMZN plus the other 7 stocks listed above are being used to keep the stock market propped up. The underlying stock market “internals” are indicative of a stock market that is infected with a terminal disease: over 44% of all stocks are down at least 10% YTD; only 32% are positive for the year; another 77% are either flat or down more than 10%; the Dow Jones Transports index is down 10% YTD; utilities down 3.5%; the Russell 2000 down 2.5%; biotechs are down 18% since late August. The list goes on. The truth is that the U.S. economy, along with the entire global economy, has stalled out and is now quickly contracting. The last five years of stock market gains, and any measurable economic activity, have been fueled exclusively by money printing and an extreme amount of debt issuance. But the law of diminishing returns is engulfing the ability of the Central Banks to continue pumping out debt in order to create the mirage of prosperity. But you can also see from graph above (yellow line at the bottom) that the MACD overbought/oversold indicator is by far more stretched out to the “overbought” side of boat than at any time since QE began. It’s also more overbought than it was at the peak of the tech bubble in early 2000. Gold And Silver Are Paper-Slammed – Is The System Collapsing? When a thoroughly corrupt Government wants to try and hide something from the public, they exert an all-out effort to mis-direct and cover-up. The financial markets are no different. It’s been obvious to anyone with one good eye and one brain cell that the puppet-masters behind the Wall Street/DC “curtain” have been propping up the Dow/S&P 500 and exerting forcefull downward pressure on the price of gold and silver. Why gold and silver? Because gold and silver, for 5,000 years, have been the world’s “alarm system” alerting everyone when something is terribly wrong. I remember vividly 2008. Many of you were not involved in the precious metals markets. Inexplicably, the manipulators smashed gold and silver down from their bull market highs in March 2008 very quickly. Silver was smashed down to $8 after hitting $21 in March. I remember staring at the futures screen wondering what would stop JPM from taking silver down to zero? Shortly thereafter AIG and Goldman de facto collapsed and the rest is history, including the fact that former Goldman CEO, Hank Paulson, was “coincidentally” sitting in as Secretary of the Treasury and “coincidentally” came up with a plan for the Taxpayers to bail out Goldman Sachs. Paulson, after all, was still sitting on about a quarter of a billion dollars worth of warrants on Goldman stock. This, after he was allowed to sell his GS stock worth $100’s of millions on a tax-free basis. Just a little “benefit” the elitists bestow upon themselves when their brethren appoint them to a Government post. It’s pretty easy to see the similar trading pattern with gold in 2008 comparted to the period the summer of 2011 through the fall of 2012. The only difference is that there was a massive rise in the use of OTC precious metals derivatives that began a couple years ago which has enabled the Fed/Treasury/banks to keep a tight lid on the price of gold and silver and has enabled the criminals running this country to promote a “narrative” of economic recovery. It’s been nothing but one big lie. How is it that day after day gold and silver get smashed when the NY Comex floor trading opens? Does it seem odd that, nearly everyday for the last 4+ years, that at 8:20 a.m. EST all of a sudden the world decides to unload paper gold and silver positions? How is it at all possible that the price of gold and silver are collapsing like this when China has imported a record amount of gold in the first half of 2015? China and India combined are importing more gold than is being produced on a daily basis. India is importing by far a record amount of physical silver. These countries require the physical delivery of the metal they buy. It’s not good enough for the bullion banks to offer free vault storage in London or NYC. The misrepresentation of the true, intrinsic price of gold and silver by the NY and London paper markets is perhaps the greatest fraud in history. The criminality operating in the U.S. financial markets has become all-pervasive. The markets just ooze with unfettered theft and wealth confiscation. The Government doesn’t just “look the other way.” The Government is the criminal cartel. Just look at where all the key appointees in a position to enforce the Rule of Law come from. The Treasury, Justice Department, the SEC – they all come from Wall Street firms or the law firms that make $100’s of millions defending Wall Street firms. It’s the American version of the Sicilian Mafia running our system! It’s obvious what is happening to anyone who cares to look at the truth. This is the end of the end-game. Perhaps Greece has triggered it but it’s irrelevant. The entire world is over-bloated with catastrophically unpayable amounts of debt. The IMF has told us that Greece can’t possibly repay its debts. Huh? Does the IMF really think the United States can repay its debt load? Greece has $350 billion of sovereign-issued debt. The United States has over $18 trillion in “on-balance-sheet” sovereign-issued debt. It has at least $200 trillion of contingent sovereign-issued liabilities. The system is collapsing. It has been collapsing. I believe it’s quite possible that we are seeing the final stages of the end game. China’s stock market is down 30% since early June. The prices of oil and copper are crashing. As I wrote yesterday, oil and copper are the quintessential beacons of relative economic activity. If their prices are crashing, so is economic activity. Coincidentally, the market never seems to “break” when its spiking inexorably higher on some fictitiously prepared “good” economic report. Let’s see if the market “breaks” today in order to stop that waterfall plunge at the open. Of course, if it doesn’t, are you prepared for the devastating consequences of a collapse? Silver seems lately to be “percolating.” For most of the last 4 years since silver hit a top in late April 2011, silver has been relentlessly manipulated lower using paper silver derivatives. On some days silver (and gold) are literally pushed off the cliff. But recently silver has been behaving quite a bit differently. Myself and several others have observed that lately the broken cable elevator cliff drops given to silver by the Fed, and exacerbated by hedge fund computer programs, have been quickly followed by equally sudden and unexplained spikes back up and over $16. Year-to-date silver has outperformed every other major asset class. This probably seems hard to believe but, for instance, year-to-date the S&P 500 is up 2.8% but silver is up 6%. I predicted in February that silver would be the best performing asset class of 2015. I stand by my prediction. Gary Christenson has published an incredible statistical analysis of the 30-yr U.S. Bond market. The long bond hit 165 on March 25, marking an all-time high. More interestingly, it closed up nearly 12% from February’s month-end close. This was a 3.61 standard deviation change (i.e. a 3.6 sigma event) in terms of the average monthly rate of change over a data series that goes back to 1977 (In 1977 the 30yr bond became part of the Treasuries quarterly refunding operations). As Gary points out in his article, linked above, a 3.6 sigma move in the bond market is about as rare an event as a major league pitcher throwing a perfect game (27 batters, no hits, no walks). This has occurred just 23 times in more than 300,000 games played over 135 years. In economic parlance, the March move in the long bond – aka “the Big Daddy” – is a Black Swan event. The last time the 30yr bond experienced a 3-sigma move was November 2008, just as the Government was moving $800 billion from the Taxpayers to Wall Street. This time around the Too Big To Fail banks have their next collapse pre-funded with $2.6 trillion in excess reserves sitting at the Fed collecting interest (this is where most of the QE ended up). Had the Fed not already pre-planned the next market collapse by insulating the banks with $2.6 trillion of crash insurance, it is likely that the stock market would have already crashed by now. HOWEVER, we have seen a collapse in the price of oil and a slow-motion collapse since early 2011 in many key commodities (copper, lumber, sugar). The Baltic Dry Index recently hit an all-time low and is bouncing along a historical bottom. Everyone by now knows that the retail sales have entered what appears to be a monthly free-fall (on a relative scale for retail sales) and the labor force participation just hit a low not seen since 1978. In other words, it would appear that the the U.S. economy is starting to experience a de facto collapse. The Fed will not be able to keep the stock market propped up like it has forever. Every day the stock market remains at the current level or moves higher, it becomes further dislocated from economic reality. While most analysts point to p/e ratios and remark that the current market is not the most overvalued in history, they fail to mention that the comparisons are not valid. If today’s earnings were adjusted using 1990 accounting standards, the current p/e ratio of the S&P 500 would be, by far, the highest ever on record. In my opinion, the Big Daddy Bond Price Black Swan which Gary Christenson has eruditely identified, is the warning signal that a serious accident in the stock market is somewhere close by. Mortgage applications continue to plummet. Housing starts take a big drop in June. The increase in the homebuilder sentiment index is deceptive. Homebuilder stocks are negatively diverging from the S&P 500. With middle class household income after inflation declining and the first-time homebuyer cohort over-leveraged on student loan, credit card and auto loan debt, it’s no wonder that mortgage applications filed to purchase a home are plunging. Folks, the demographic I just described historically is the majority of the housing market – not big institutional funds and flippers looking to make a quick buck. If first-time buyers and middle class “move-up” buyers aren’t buying, the market eventually collapses. With propaganda in ALL areas of our economic and political system now at levels that would make George Orwell put a gun to his temple and pull the trigger, I’ve sifted thru the nonsense coming from Wall Street and CNBC and have written an article explaining why the next down-leg in the housing market is about to unfold. 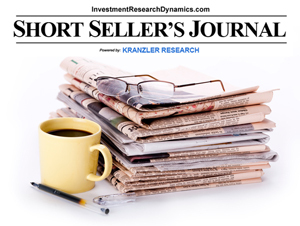 You can read my article here: Mortgage Apps And Housing Starts Tank. The two biggest warning flags: home sales are dropping during what is supposed to be the strongest period seasonally of the year for the housing market and homebuilder stocks are in a downtrend despite that fact that the S&P 500 is headed to the moon. Since 2001, that I’m aware of, Richard Russell has been slowly and steadily increasing his recommended exposure to physical gold and silver. Apparently, he’s now 100% in metals and completely out of the stock market except, I assume, some exposure to mining shares. Chart of gold below. As I write an hour before the close, gold is up $41. Referring to the chart you can see this puts gold above its 50-day and 200-day moving averages. This should start squeezing the gold shorts. The bear market in gold is over, and gold again is in a bull market. The stock market is now excessively overheating, especially in comparison to the underlying fundamentals. Even companies with reported net income growth are showing flat to down revenues. Aside from the Fed intervention, stock prices are being fueled by corporate share buybacks. In Q1, S&P 500 companies spent 93% of their net income on share buybacks and dividends. Corporate insiders are dumping their shares in record amounts into their own companies’ buybacks – especially the homebuilders. 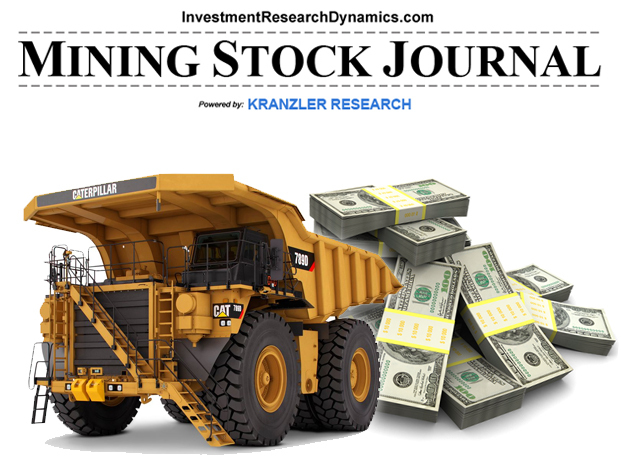 It’s time to get out of most stock and bond sectors and into physical gold/silver (NOT GLD or SLV) and junior mining shares. As this bull market in gold advances, there will be a flurry of M&A activity at much higher price levels. 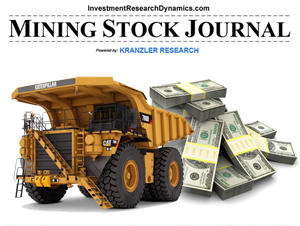 I have what I consider three superb risk/return junior mining plays in my research section: LINK. 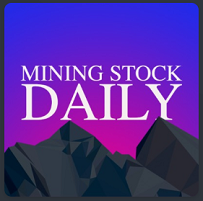 I’m currently getting ready to write up what I think is one of the best risk/return plays in the junior mining sector that I’ve seen in over 13 years of my involvement in this sector.